to the breast cancer issue in our area. 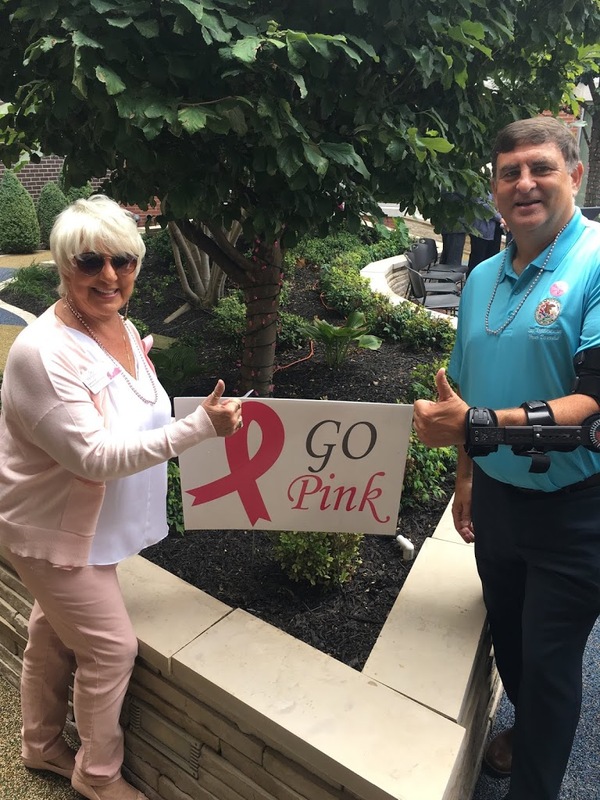 State Representative Dave Severin (R-Benton) on Monday joined Herrin Hospital officials in the Healing Garden of Southern Illinois Healthcare’s Herrin Hospital for the “Pink Out” balloon release to kick-off Breast Cancer Awareness Month. October is the month designated to honor those who have lost the battle, those who are fighting for their life, and those who have survived. According to BreastCancer.org, about one in eight U.S. women will develop breast cancer over the course of their lifetime. Though rarer in men — a man’s lifetime risk is about 1 in 1,000.